When I started DXing in 1999, I DXed TV as much as I DXed FM. This abruptly stopped in 2009 with the DTV transition, as distant DTV signals didn’t come in like they did during the analog days. 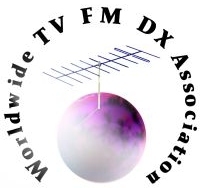 I tried to DX DTV again in 2013, but gave up a second time due to a lack of new signals. When I moved earlier this year to a better-positioned location for signal propagation, I wanted to try DTV DXing once again to see if I would have any luck, hoping third time’s a charm. It was. 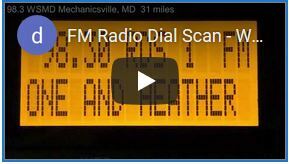 In the past few weeks, I received TV signals from all of my major markets I regularly get FM from, including Richmond, VA, Baltimore, MD, and for the first time, Philadelphia, PA, with 15 new stations received. During DX enhancement, there are always signals on unfamiliar channels below the threshold of a PSIP ID, meaning there are many more DX targets that I’ll hopefully log sooner or later. I added the screenshots below to my TV Screenshots page, which includes similar screenshots from both analog and DTV stations dating back to 2001. My TV DX log has also been updated with these new stations.